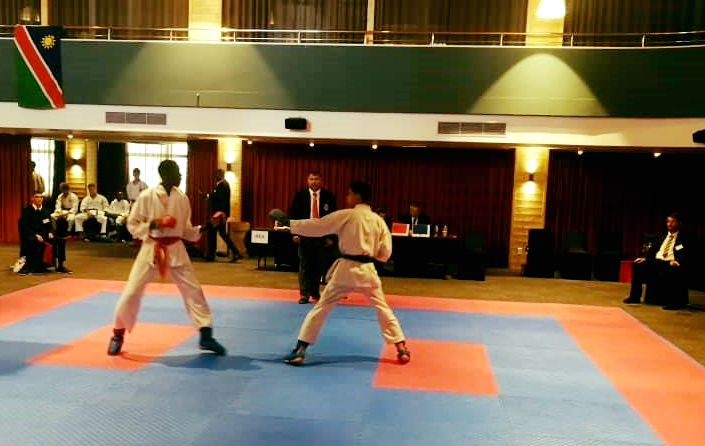 DESPITE the Namibia Karate Union facing difficulties in financing its athletes and hosting tournaments, the Union somehow managed to host the best karatekas in Africa at the recently concluded annual national trials. The national trails were held to selected athletes that will participate and represent the country at numerous international events during the course of the year. This year’s trials featured over 130 karatekas from the northern, central and coastal regions and not only highlighted Namibia’s greatest karate talent, but also served as a basis for the selection of a larger squad with the purposes of developing the sport in Namibia. The trials, which took place over the weekend, saw all nine affiliated styles, Goju Kai Namibia, Okinawa Goju-Ryu Karate Namibia, Karate Zen, Namibia JKA, Shotokan Karate Academy International, Tenshinkan, Bushido Shotokan, Kushido, and the Namibia Kyukoshin Karate Organisation represented in numbers. 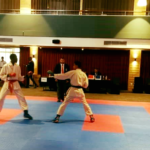 The tournament also featured many of Namibia’s top international karateka such as Suzelle Pronk, who is the 2018 Common Wealth Bronze Medalist and the first Namibian to participate at a K1 Premier League Tournament, Captain of the 2018 National Karate Team and also, Swart Bronze, Medallist at the 2018 African Youth Games, Mayvonne Stwart and Common Wealth Karate Championships Double Medalist Freddy Mwiya. NKU’ spokesperson, Stefan van der Merwe, said that the primary challenge faced by NAKU is financing its athletes and tournaments. “NAKU currently receives no additional financing from the Namibia Sports Commission and is only sponsored by Paratus Telecom with regards to the hosting of its website and email. Other than financing its National tournament (budgeted at N$50 000) which is to be held in September, NAKU also faces N$50 000 per year in annual affiliation fees and has set aside a budget of N$100 000 for this year’s Region 5 Championships,” he said. The first tournament for the team will be the 2019 AUSC Region 5 Karate Championships, which NAKU will be hosting between the 23 and 25 of May, at the DOME in Swakopmund.